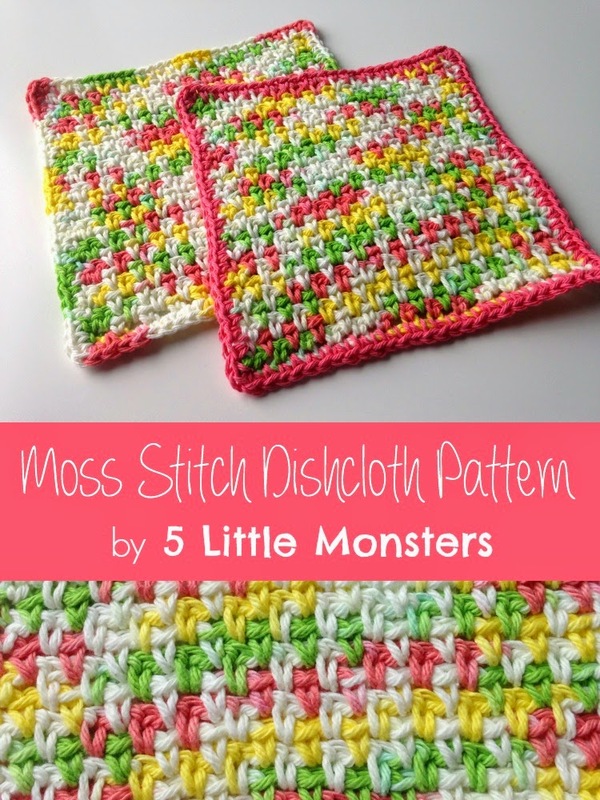 When I was looking for dishcloth patterns for my spring cleaning round up a couple of weeks ago I started thinking that I should share some of my favorite dishcloth patterns. The ones that I have made over and over, that I use everyday in my home, that I have given as gifts. Designing new patterns is a lot of fun and dishcloths are an easy way to try out a new stitch or design because they are small and work up quickly. But there are also those patterns that you seem to go back to again and again, the old standbys, and I thought it would be fun to share some of those. Easter is just over a week away, probably time to start getting Easter baskets ready. 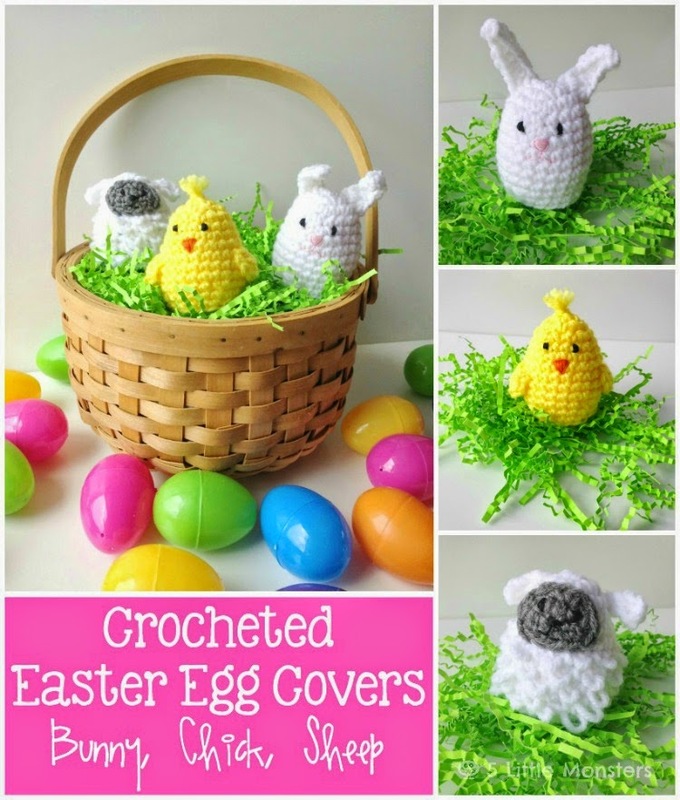 Luckily these cute little Easter Egg Covers are a quick and easy project and would be a fun addition to any Easter basket. 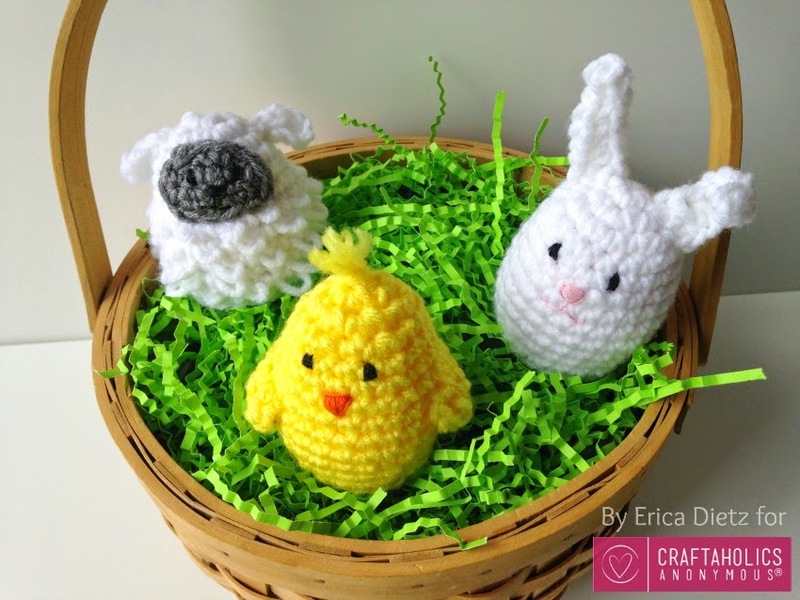 I originally shared these on Craftaholics Anonymous a few weeks ago. Since today is the first day of spring I wanted to do something spring-related for today's roundup. I decided to go with a spring cleaning theme. 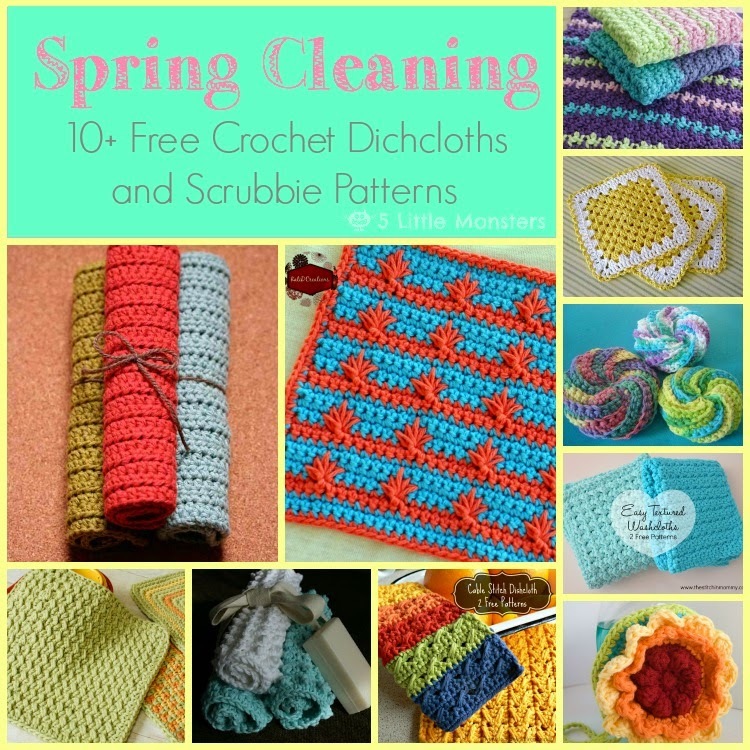 I like to use crocheted dishcloths for cleaning, they are great for washing dishes as well as wiping things down and cleaning up little messes. Back at the end of January/ beginning of February I shared four Valentine's dishcloth patterns. Some of those could easily be done in different colors to make them less valentine-y and they could work for any time of year. The v-stitch one could easily be done in any three colors for any holiday or to match your kitchen. Spring will officially be here in just a couple of days and the weather is starting to warm up. 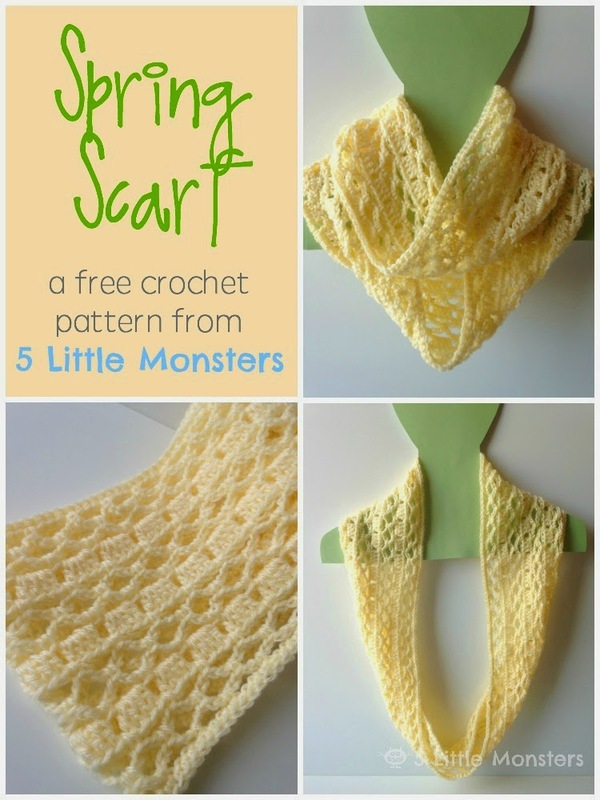 I probably won't be posting any more scarf patterns for a while but this scarf is a little more lightweight, crocheted with a stitch that is open and airy so I thought it would still work for springtime. 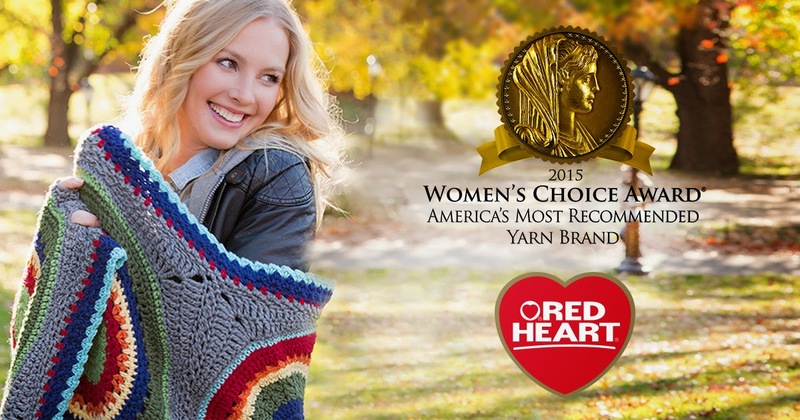 It was recently announced that Red Heart won the 2015 Women's Choice Award for America's most recommended yarn brand. You can read about the announcement here. 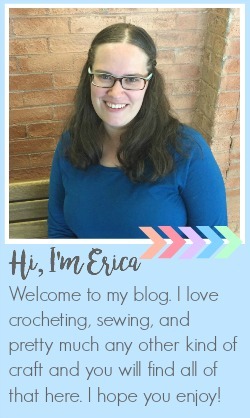 To celebrate this announcement they have given me the opportunity to give one of my readers a prize pack of yarn valued at $50! With St. Patricks Day coming up I wanted to make some little clovers, or shamrocks, I don't really know what the difference is between the two. I wanted some that were pretty small so they could be attached to a hair clip or a headband or pinned onto something. 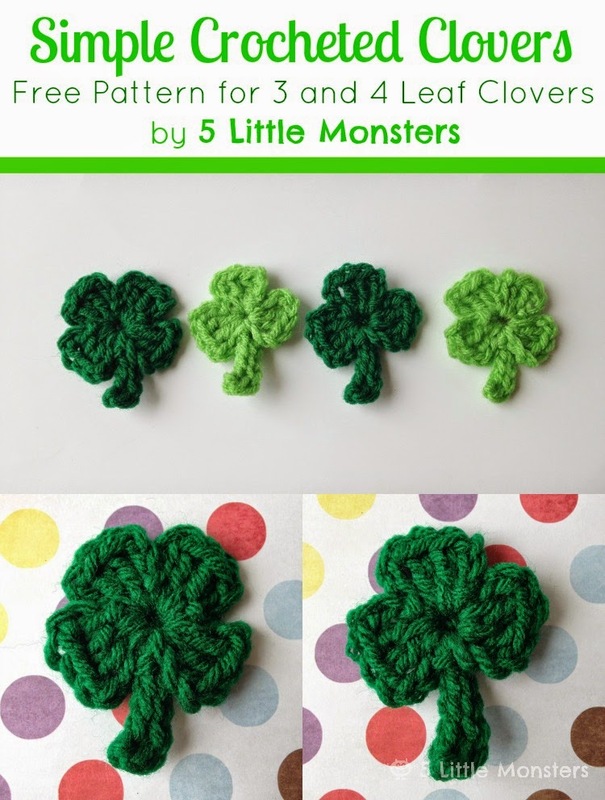 They aren't the most detailed crocheted clovers you can find, if you want the little heart shaped leaves than these aren't what you are looking for, if you want a really easy, fast, small 3 or 4 leaf clover than you should try these out. A few days ago my daughter asked me if I could teach her to sew something. I have to admit it made me pretty happy to hear her say that, even if it was really just her way of trying to get out of doing her homework. I told her I would think of some ideas and she could pick something she wanted to make. I already had some ideas of the kind of things that I want to start her out with but that gave me the idea to see what I could find online for simple sewing projects to make with kids. 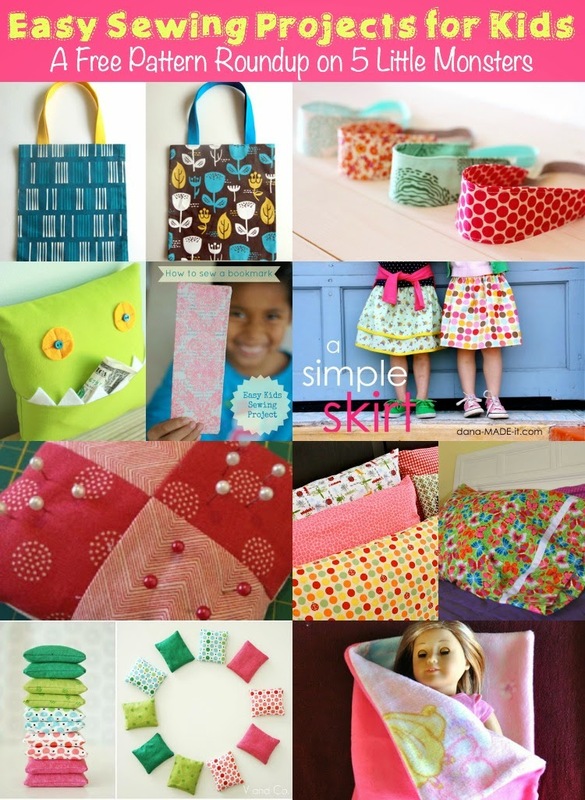 So, today's free pattern roundup is some simple, beginner type sewing projects that I thought might be good projects to make with your child who is learning to sew. All of these are machine sewing tutorials that are either intended for kids or beginners or they are simple enough that I thought they could be easily adapted to use with kids. I think that we will start with a little bit of hand sewing first and then work our way up to using the machine. If you are trying to think of some beginner projects to teach your child to sew or maybe even to learn yourself you should check out these tutorials. Click on the picture or the title to find the tutorials.